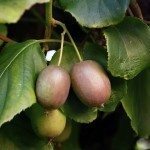 Can I grow hardy kiwi successfully in Zone 4? Is the 10' spacing rule hard and fast? What about growing jicama in Zone 4?